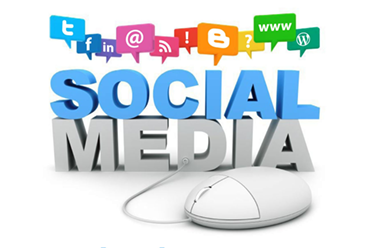 Boost Web SEO's social media marketing strategy is quite simple. Our goal is to position your company strategically in order to take advantage of the natural two-way conversion between you and your customers. We help your business reach new potential clients in your area. Our campaigns get perfected as we gather information from the profiles that generate more results to achieve the best ROI for our customers. With our rigorous monitoring and reporting, we are able to help you take advantage of social networks, and keep tabs on your competition, while driving traffic thru your doors and to your site! Social media marketing strategy: we take the time to understand your industry and your needs as a company, isolate opportunities, and recommend best practices for long-term success. Social media audit: we do an in-depth analysis across social media networks and build a strategy to improve any outstanding issues. We are also aware that not all niche industries have a place on Facebook or Twitter, so we do a full analysis of your industry and create a strategy to place you in the platforms that would generate a bigger bang for your buck! Social profile creation: we will identify and create business profiles for your company in various platforms according to your specific niche industry. Badge creation and strategy: We can design creative badges for you to spread joy to your users and position you as a higher authority while capitalizing on link-building benefits. Widget strategy development: we can will identify which widgets would benefit your website and make you unique amongst the competition. If you already have a website, we'll take a look and see if it's beneficial to you or your customers. Blog creation, design and/or optimization: we'll recommend the best blogging platform to suit your needs, set it up correctly to attract optimal traffic and show you how to work it to make it more accessible for users and search engines. Blog strategy development: we can work with you to create a short term/long term strategy with best practices to optimize your posts. This may include crafting ideas for posts/articles, us writing them for you, and how to build awareness. Boost Web Seo's promise of performance is that your business will be found on the first page of major search engines using your service tag or one of your 5 business categories within 6 weeks of your account setup. Start your Free SEO Trial Today!